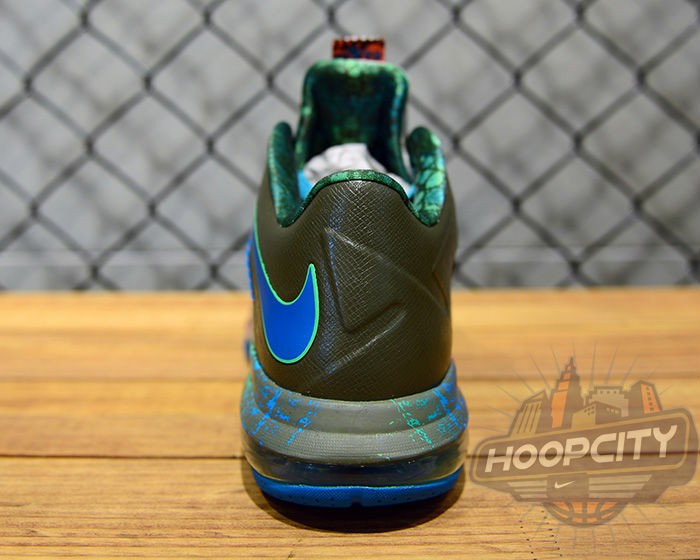 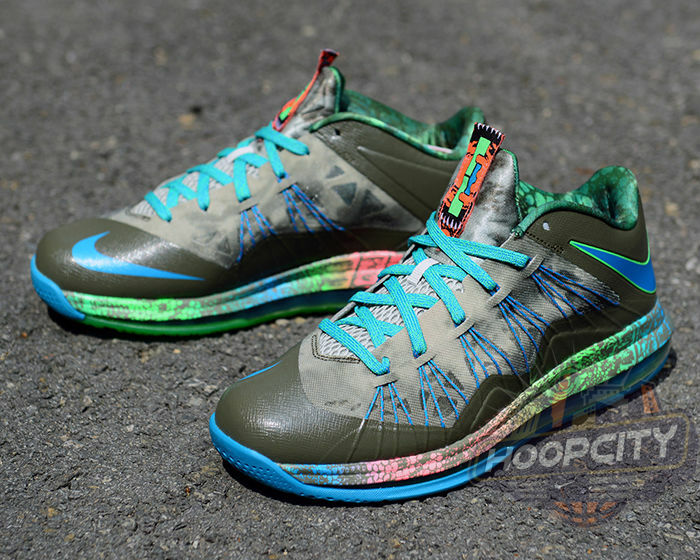 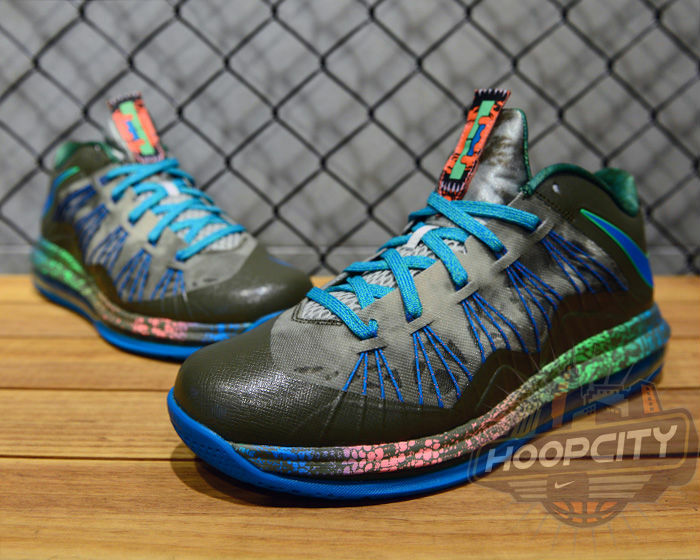 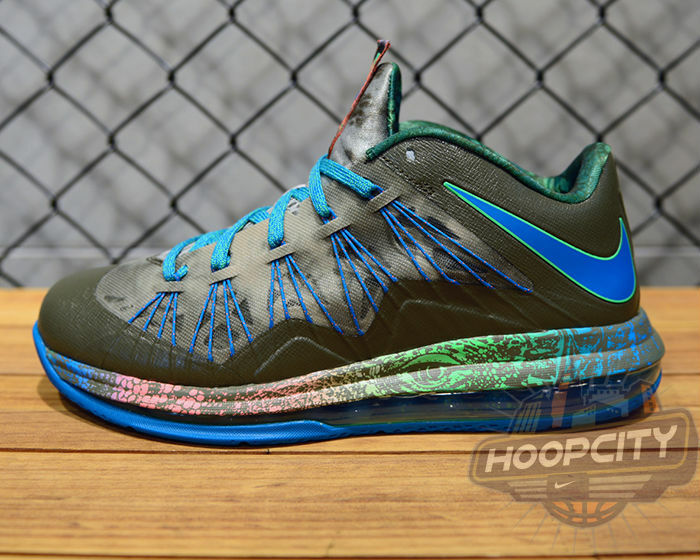 Before we fully turn our attention toward the LeBron 11, Nike Basketball serves up this interesting new colorway of the LeBron X Low. 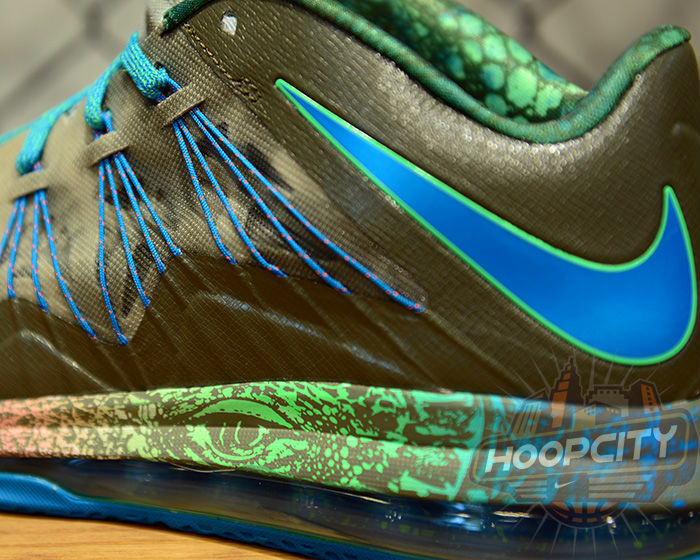 The shoe features an upper in Tarp Green, helped by blue and a lighter shade of green on the laces, Flywire and rear Swoosh. 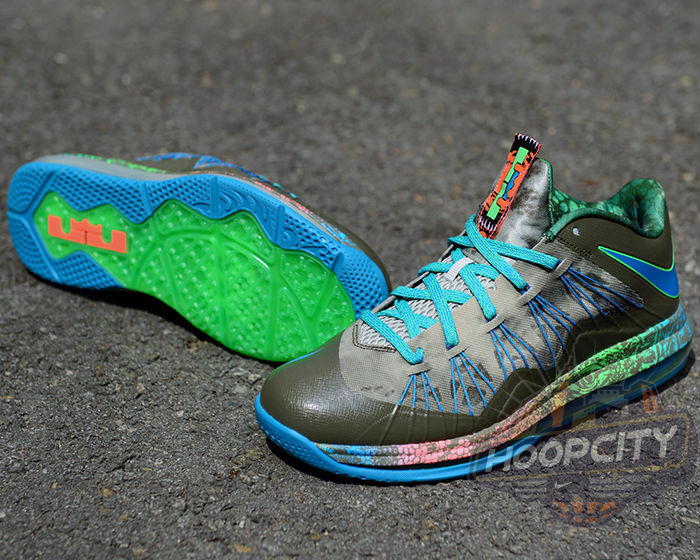 What really gives this shoe character are colorful prints and patterns along the tongue, inner lining and midsole. 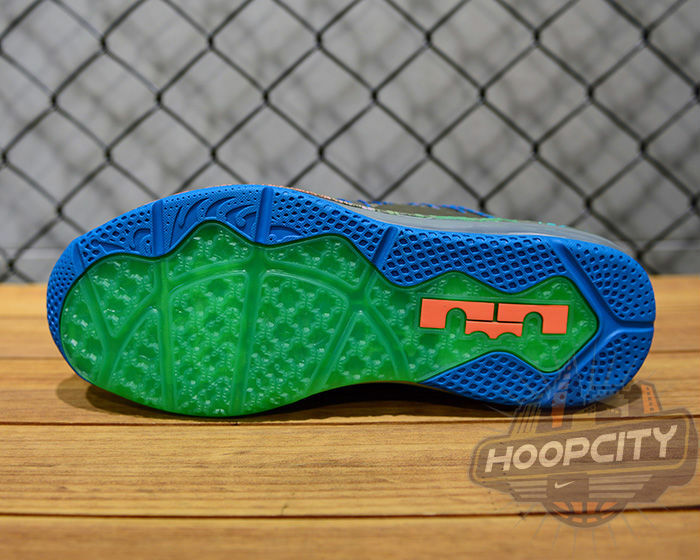 Below, a blue Max Air bag sits atop a blue and translucent green rubber outsole. 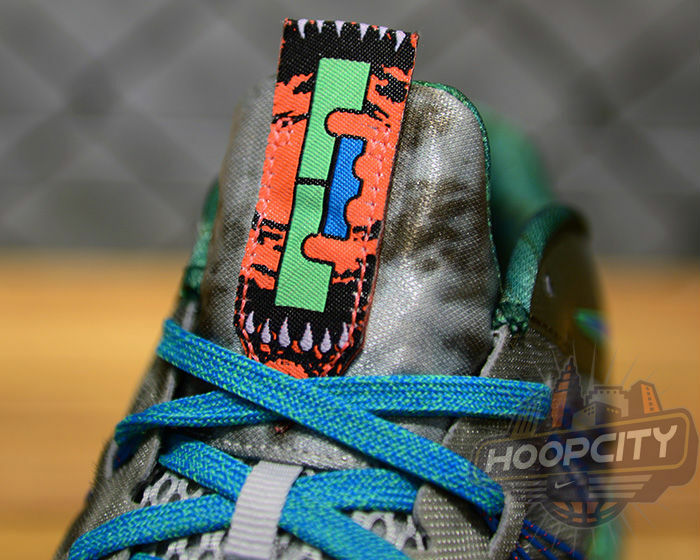 There's clearly a story behind this colorway and we'll be sure to update you on what exactly that story is here at Sole Collector. 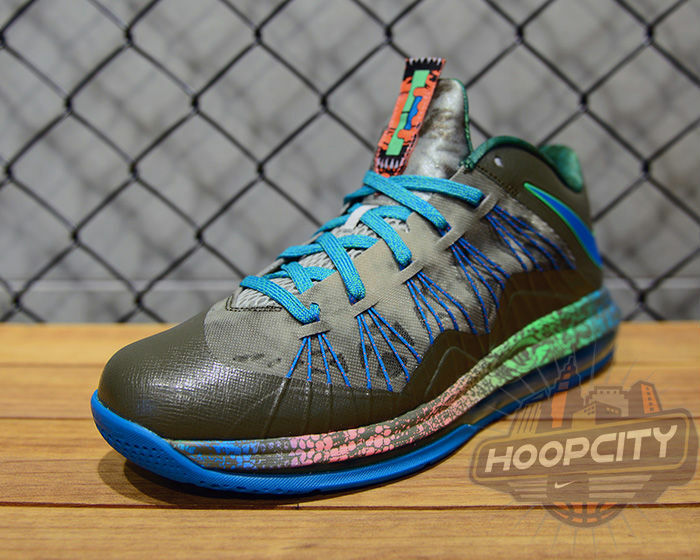 We have no stateside release information at the moment, but Korea's Hoop City is offering this colorway today.